The Network: What are you buying? How did it get to you? Whose hands has it passed through? What are you buying? How did it get to you? Whose hands has it passed through? 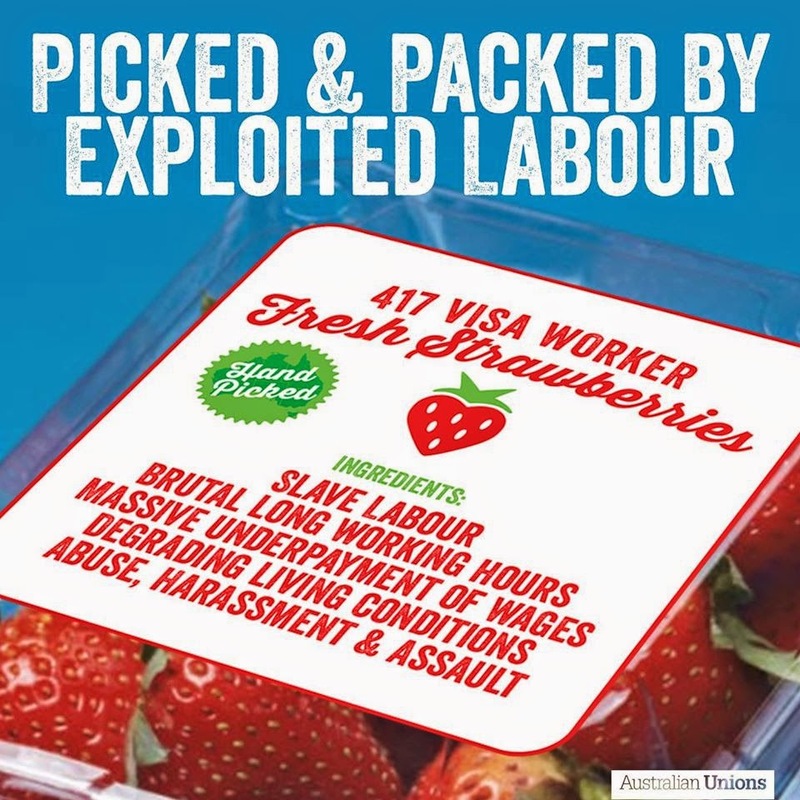 The temporary visa program is broken and facilitates the gross exploitation of migrant workers, a view confirmed by the Four Corners program that aired last night. 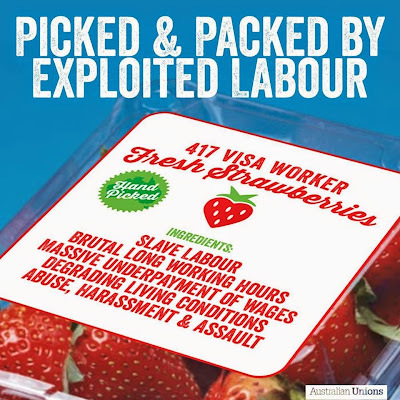 Urgent action must be taken by the Federal Government to clamp down and regulate the entire temporary visa and labour hire system and remove rogue operators. There should be an immediate halt to any expansion of the temporary work visa program until the full outcome of the Senate Inquiry is known.